"Despite ideal water parameters, I have algae", you can often hear these words. However, the water parameters are good thanks to the algae, and without them, the ecosystem in the aquarium would just crash. Unfortunately, most algae do not correspond to our sense of aesthetics, and their explosive growth endanger the life of the much more coveted aquatic plants. 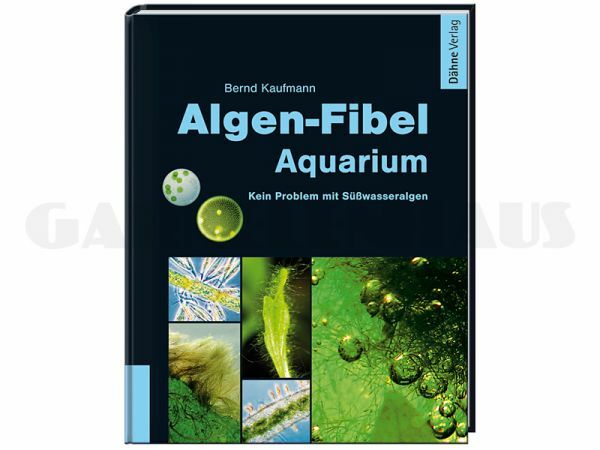 The author is a renowned expert in the field of algae, and he helps the aquarium enthusiasts find out which of the almost innumerable algae species grace their tank with the help of microscopical and macroscopical characteristics, and with excellent, illustrative photos. In the second stage, the author gives hints and tipps for prevention and efficient biological ways of controlling algae. Habe einiges über Algen lernen können. Sehr gute Beschreibung von Problemen und deren Lösungen.